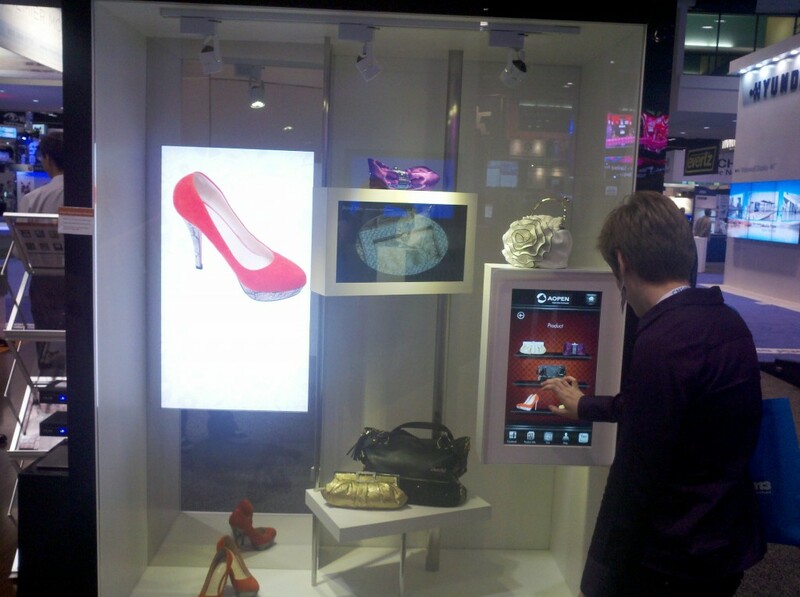 While on our field-trip to infoComm13, we visited several exhibits featuring the transparent display screens, but one exhibit in particular caught our fancy with their marketing technology more than any other. 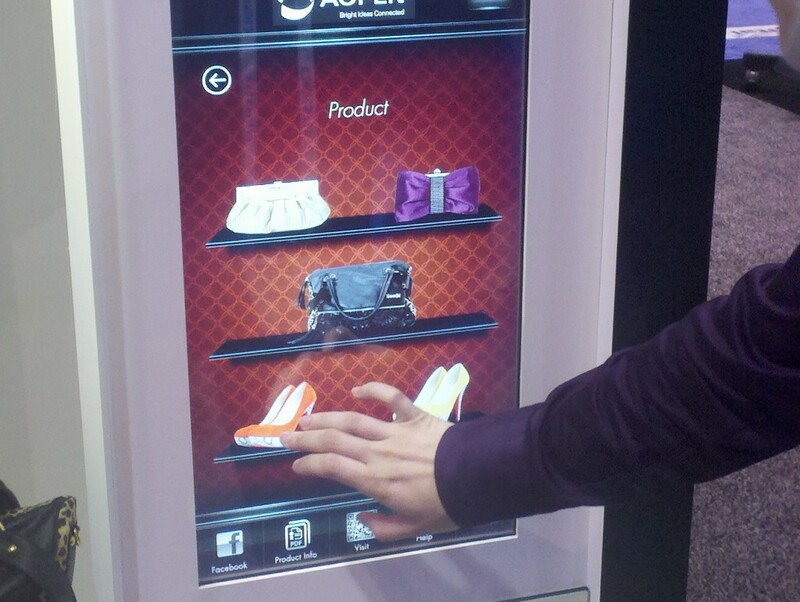 AOPEN, a major electronics manufacturer with a specialty in digital signage, was showcasing their use of touchscreens in retail spaces. 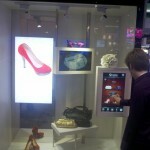 Similar to the idea of a transparent screen over a display of a product, the touchscreen is used as part of the display making it possible for the consumer to actually interact with the display. 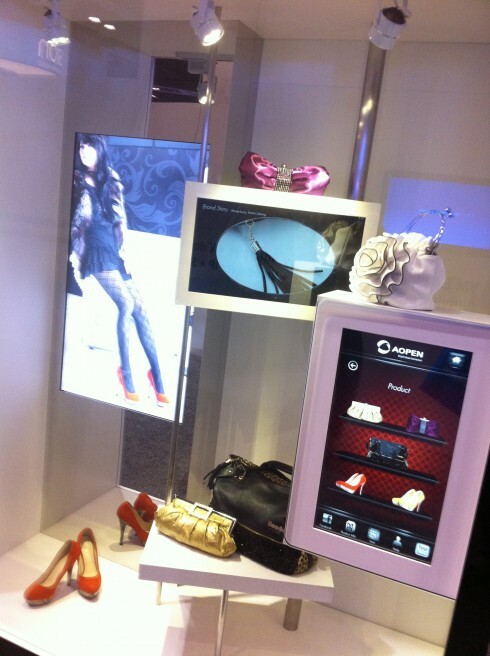 Imagine the selling possibilities with a display that reinforces the consumer’s visual experience in multiple ways. 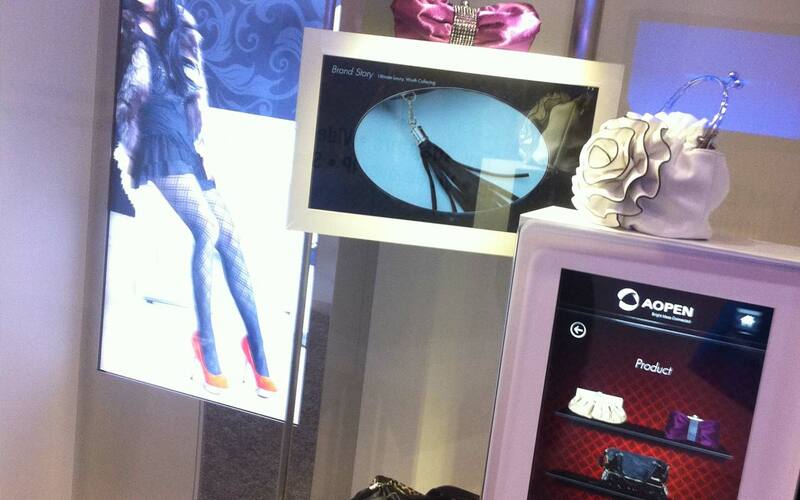 Not only will a shopper see the physical item on display, but they can then select the product in the touch-screen menu and be presented with the product information and/or more photos of the product on secondary screens. 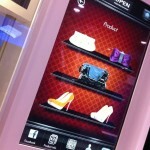 The use of touchscreens in retail spaces augment the customer’s experience and buying opportunities. The whole experience is also integrated with Google Analytics, which will provide the business with measurable data based on customer choices. So, not only does this technology create a very sophisticated experience for consumers, it becomes a valuable marketing and analysis tool. 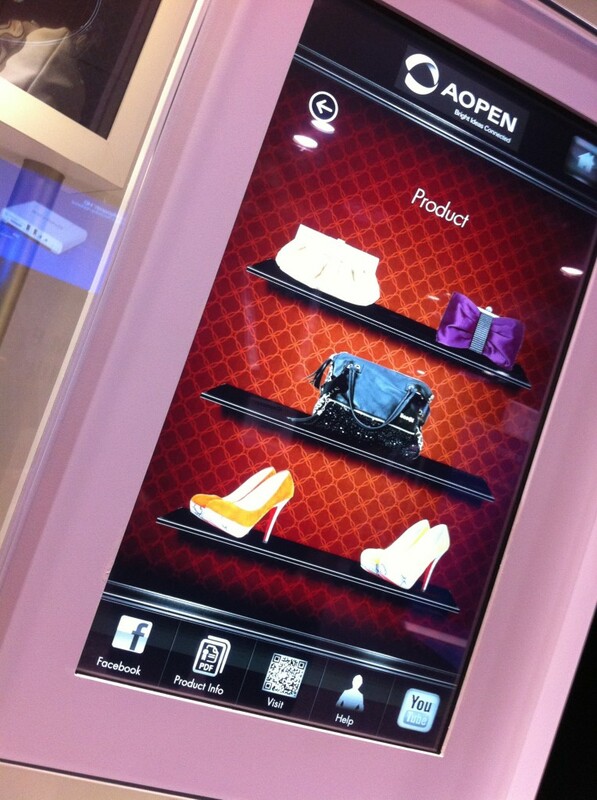 An example of a display with touch screen menu and secondary panels.